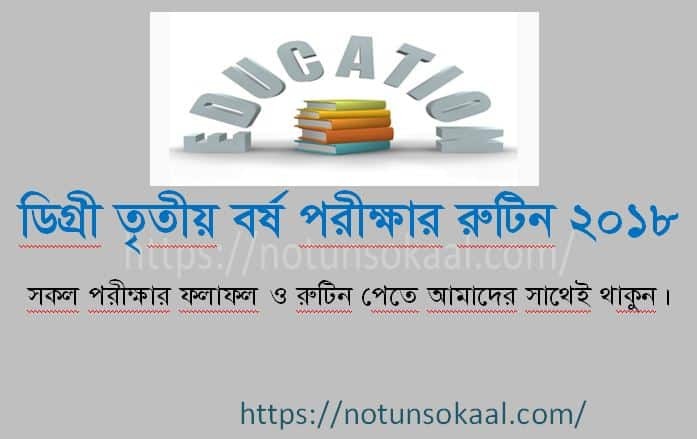 National University has published the degree 3rd year exam routine 2018. The Degree 3rd year exam will be held on November 29. So friends are no longer late, enter our website and download the degree 3rd year routine. Degree final year students will attend the exam according to their subject. See your exam routine according to your subject and mark them to see exam date easily. Here is your degree final year exam routine. Download the nu degree 3rd year exam routine 2018 and stay with us.